The Pigeon Cruise induction cooktop is a must-have for modern day kitchens. This sleek and trendy cooktop is made of microcrystal plate and occupies very less space on the kitchen table. 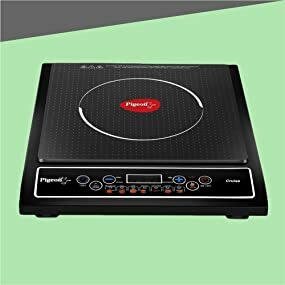 Switch to a healthy way of cooking with this Pigeon induction cooktop that retains all the nutrients and essential vitamins in the food unlike conventional mode of cooking. Designed for faster and safer cooking, this elegant cooktop is energy efficient and cooks food faster, while its cool touch surface lets you safely handle the cooktop even during use. A lengthy connecting cord of 1.2 meters allows flexibility to move the cooktop easily. Cook your favorite dishes with ease using the Pigeon Cruise induction cooktop that is essential in your kitchen. The induction cooktop is an ideal addition to your kitchen. It makes it easy to cook and saves on time as well. Pigeon Cruise Induction Cooktop is a must have in your collection of Kitchen appliances. Use Cookware with a bottom diameter of more than 12cm or less than 20cm. 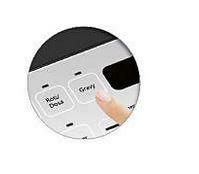 Press a cooking mode button after you press the ON -OFF ( Ã˜ ) button. 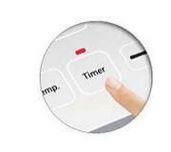 If cooking mode button is not pressed within one minute,the induction cooker will switch off automatically. A preset indian menu to help you to cook your favourite dish perfectly, an automatic voltage regulator, that ensures durability and a power saving technology, to ensure, more food is cooked, while using less power and then there’s more,. An economical and quicker way to cook a delicious meal. Manufactured By: Mvm Industries, Registered Office : 80 D, Epip Phase 1, Jharmajri, Baddi, Discrict Solan, Himachal Pradesh 172305. India. Action Protection against high-temperature in the cook top The unit experiences a high temperature. The Induction cook top will resume after the temperature drops. Please press “ON / OFF” button for resuming operation. E3,EA Protection against high-temperature in the glass Panel This error will protect the induction cook top against high temperature on the glass panel.The Induction cook top will resume after the temperaturedrops. 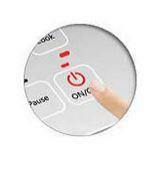 Please press “ON / OFF” button for resuming¶ operation. E1,E2,E4,E5,Eb Protection against abnormality of internal sensor inside the induction cook top. When the ambient temperature is too low, the induction cook top will perform automatic protection. Restart by pressing “On / OFF” button to resume the operation. the philips viva collection induction cooktop is a sleek and sturdy glass panel cooktop for convenient and fast cooking. Its electromagnetic induction technology provides high heating efficiency and cooks food faster than the conventional gas stove. Unlike cooking on direct flame, where the vital nutrients and vitamins from the food are lost, this philips induction cooker seals nutrition into the food and aids healthy cooking. 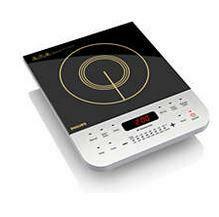 Simple to use and maintain, this induction cooktop saves you a lot of money, especially with the rising lpg prices. 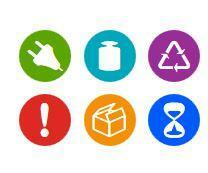 Besides, its cool touch surface and auto-off program ensure safe cooking. choose from over ten preset menus for different indian recipes. Just place the required amount of ingredients per the recipe suggested and press the menu button to get piping hot food ready in minutes. You can select from 0 to 3 hours time setting for cooking food. Furthermore, a 24-hour preset timer function allows for delayed cooking as well. The premium quality full glass panel of this philips hd4938/00 induction cooktop features sensor touch keys for feather touch cooking. This philips induction cooktop also delivers up to 2100w of power for fast cooking.